Starting the First Day -- Guaranteed! Have others naturally accept your advice. Get more customers and clients to seek you out. Compel co-workers to listen to you. Impress strangers upon meeting them. Your level of happiness and success depends on others. If you discover the simple secrets of ethical influence you'll have the world at your feet. If you don't, you just might end up enduring a life of quiet desperation. Like 95% of people who suffer needlessly from all sorts of problems. ...are unable to get their kids to listen... and generally... are frustrated because things just don't seem to go their way. Because no one teaches you when growing up how to be influential. Maybe you've picked a few things up here and there. Another big problem is standard communications and sales training doesn't really work. You're taught outdated methods... pushy and aggressive strategies... and complicated ideas that fall flat on their face in real-world situations. By using programs like that, you'll have people running away from you. After all, who wants to get cornered by someone intent on manipulating them? I'm here to tell you there's a mountain of evidence proving hypnosis just might be the answer you've been looking for. You'll see the abundance of proof in just a moment. The best part is the right kind of hypnosis even works during normal every day interactions. That's right. You can literally induce a trance in someone you're talking to at a grocery store, the post office or anywhere else. The technical term for this kind of hypnosis is... conversational hypnosis. Scientific research over the past 65 years confirms hypnosis can be used in a covert way. You can plant suggestions in people's minds while interacting with them. They won't even know it's happening. Get what you want with ease so life becomes a joy instead of a struggle! Boost confidence to effectively communicate in personal, social and professional settings! Capture the attention and admiration of people important to you! Make others agree with you easily without the usual stress and frustration! Neuroscientific studies show all learning behavior and change happens unconsciously first. Your conscious intellect catches up afterwards. So if you want to be more influential, you must reach people at the unconscious level. Where all the "magic" happens! Hypnosis is the fastest way to tap into the unconscious mind! That's why I'm going to introduce you to a step-by-step system that reveals the basics of conversational hypnosis. Which anyone can master starting the first day. Field research reveals the key to influence is not to try changing people's minds. But rather to change their mood first. If you first get someone in the right mood for the situation... then... and only then... can you successfully change their perception and willingness to agree with your point of view. Hypnosis opens up the mind to suggestion to the point it can override "automatic" processes in the brain. It works deep at the unconscious level to produce almost instant changes in hypnotic subjects. The problem is regular hypnosis is impractical. You can't walk around swinging a pocket watch and asking people to "look deep into my eyes." Standard hypnosis methods fit therapeutic situations best. However, in every day interactions you simply can't apply that kind of hypnosis. If you tried, you'd look foolish at best and infuriate people at worst. That's why conversational or covert hypnosis is perfect for normal situations. You can literally hypnotize someone that is unconsciously asking for your aid while chatting with them over a cup of coffee. Completely under the radar. Easy to learn, ethical to use and fun as you lead any interaction. Melts critical conscious mind resistance and allows for easier and faster hypnosis. Subjects simply don't know they are being hypnotized. Activates the brain's suggestibility center so ideas soak into the unconscious mind and take root immediately. Creates the environment to put anyone in a hypnotic trance at any time. Cements suggestions in the unconscious so the subject continues being influenced for the better even after you're gone. Forces people to both agree with you and take action on your suggestions in the moment. Leaves hypnotic subjects feeling great and looking forward to meeting you again. Over 3,000 professional research papers conclude hypnosis is a proven way to initiate positive lasting change. Physicians and scientists around the world agree hypnosis is a tool that gets results. The American Medical Association has allowed doctors to use hypnosis since the early 1950's. It's no wonder people using conversational hypnosis have written to tell me the amazing results they are experiencing: better and more positive conversations... saving money on products and services... put people in deep trances almost effortlessly... increased sense of confidence and zest for life... boost in personal income... guide clients to make better purchases... and so much more! "...Once people are in the driver's seat of their hypnotic ability, they often reap additional benefits in other areas of their lives as well." "...Over the past few years, scientists have begun gathering evidence that hypnosis can indeed measurably change how the brain works. In 2005, scientists at Weill Medical College of Cornell University in New York City used functional MRI to show how hypnotic suggestions can override "automatic" processes in the brain..."
"...At the University Hospital of Liege in Belgium, a team of doctors led by Dr. Marie-Elisabeth Faymonville has logged more than 5,100 surgeries by hypnosedation, a technique Faymonville developed that replaces general anesthesia with hypnosis, local anesthesia and a mild sedative." "...Suggestibility is a central phenomenon of hypnosis.... When suggestions are accepted, the person may experience profound changes..."
"...While in a hypnotic trance, you are neither unconscious nor asleep, but rather in a deeply relaxed state that renders the mind highly focused and ready to accept suggestions to help you accomplish your goals..."
"I now possess the tools to succeed in any endeavor!" "Now living the lifestyle I always wanted!" "Now I have a relationship with a beautiful, loving woman!" "I have an edge in life!" "Greater wealth, success and the most valuable resource - time!" "Feel so confident and happy now that I have all these skills!" "I got a discount on the cost of servicing my car!" Conversational Hypnosis Video Training Crash Course™ The Fastest Way To Learn The Basics Of Covert Hypnosis... Guaranteed! Consider this as a "Conversational Hypnosis 101" program that covers all the fundamental principles you need to know. How to use hypnosis to build and nurture harmonious relationships with your family and friends! A technique you can use any time and anywhere to win people to your way of thinking on command! Shortcut Hypnosis Secrets Guaranteed to Influence Anyone in Any Situation or It's... FREE! At last! Discover the most powerful way to influence the human mind... and... have people naturally accept your ideas, suggestions and proposals. Master the art of conversational hypnosis starting today -- RISK FREE! The true story of how I managed to get Fortune 500 company CEO's who were twice my age to take my advice and implement the solutions I offered! Why understanding the driving principles behind what makes conversational hypnosis work is more important than knowing specific techniques! How I define hypnosis... and... why looking at hypnosis this way will make you more influential! Examples of how hypnosis happens to you naturally! How to stop another person's critical mind from automatically rejecting suggestions their unconscious mind does! Three must-have factors to creating a hypnotic context in which you're the leader for the job! My secret formula - remember the acronym “ABS” - for embedding unnoticed covert commands within the unconscious mind! Hypnosis -- The Secret "Truth Serum"
Hypnotizing your focus group can tell you what the members are really thinking, according to Mindtec Diagnostics, a market and social research company based in Brisbane, Australia. Once participants are put into a "gentle, daydreamy-like state," their responses are more truthful because they aren't influenced by social expectations, the money participants might be paid, or the opinions of others in the group. In one test of the Altered States Elicitation Technique patented by Mindtec, participants' recall of a company brand after viewing TV ads improved 75 percent under the hypnosis, compared with when in a fully conscious state. Other tests indicate that participants store opinions and attitudes about products that asked about consciously they might not remember, but at purchasing time the subliminal factors come into play. Mindtec founder, David Kennedy, a clinical hypnotherapist, says that hypnosis won't replace quantitative research but is "definitely a replacement" for qualitative research. If you want to know what people are really thinking hypnosis is the key. 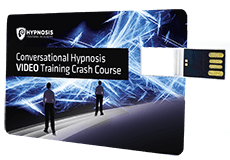 Conversational Hypnosis Video Training Crash Course™. To try it risk free and save 60% OFF the regular price... Click Here! How the human brain is wired... and... why knowing this neurological fact will skyrocket your ability to convince even the most stubborn people! How to control someone's emotional moods! The Hypnotic Blitz: A five-step practical technique to hypnotize people during casual meetings, conversations and gatherings! How the "hypnotic gaze" opens up even the most closed minds! Power words crucial to your success as a conversational hypnotist! Why the key to influence has everything to do with how your subject "feels" and not necessarily what he is thinking about! How to access the right emotional state in someone so they are easy to influence! How to master the art of influence with the secret of Future Memories! That's just a small taste of all the secrets, tips, tricks, techniques, strategies and ideas revealed in this amazing course. Plus, you'll be able to apply this information right away the first day you watch the videos. Because I've stripped out all the "filler" and explained the real shortcuts to covert hypnosis. After rifling through this primer on basic conversational hypnosis you'll be armed with the tools to hypnotize others during normal every day situations. Pioneering studies have shown that hypnosis can alter perception and that the influence of hypnosis on perception usually changes which parts of the brain are active. For instance, a Harvard study published in 2000 showed the hypnotized subjects would see only black and white in a color picture if told they couldn't see colors. If told they should see color, they would, even if the picture was actually black and white. Brain scans showed diminished activity in brain regions that process color when subjects were told to see only black and white - regardless of whether the picture was in color or not. "These findings support the claim that hypnosis is a psychological state...and is not just the result of adopting a role," the Harvard scientists wrote in the American Journal of Psychiatry. One... you get 12 content packed instructional videos walking you through each step of my basic conversational hypnosis system. You'll discover basic hypnosis principles... how to create a hypnotic context... my "ABS" formula... the secret "PCAT" formula which is the core of all influence... the 5-step hypnotic blitz you can learn and use the same day to hypnotize anyone in any situation. These videos feature me "live" explaining what to do... and... showing you how to do it. You can watch them online or download them to your computer. And learn as I uncover my top secrets for influencing others using the most powerful conversational hypnotic methods ever revealed. Two... you get 3 bonus videos demonstrating the techniques in the course on a real hypnotic subject. In the first video you'll watch as I apply my secret to induce a trance during a normal conversation. You'll witness everything I do and see just how "under the radar" my hypnosis secrets are. In the second video, you'll watch the same hypnotic induction. Except this time I pause at certain spots in the video and explain what I'm doing step-by-step. Finally, in the third video I breakdown the entire process so you can copy what I did in real life situations. You'll be amazed at how easy it is once you have someone explain all the details. Three... you get complete written transcripts of all the videos in the crash course and the bonus demonstration videos. At last! Discover the most powerful way to influence the human mind... and... persuade and convince people to accept your ideas, suggestions and proposals. Follow along as you watch to reinforce this information so you can use it easily yourself. Four... you get the MP3 audio recordings of all the crash course videos and the bonus videos as well. You'll be able to listen to these any time at home, as you're traveling to work, the store or wherever. Imagine how much better prepared you'll be to try out these hypnosis secrets right after you listen to them. you get everything on a USB Hard Drive shipped to you. So you can watch the videos or read the transcripts at your convenience on whatever device you want to transfer them to and without needing an internet connection..
You’re getting over 3 hours and 38 minutes in practical hypnosis instruction from one of the world’s leading conversational hypnotists. I personally spent over $180,000 and more than a decade learning these same secrets. Now you can have them for a drop in the bucket. The total value of this program is at least $250. But don't worry you won't have to spend that much. In fact, the retail price I settled on was a fair $95. Look, my mission with this product is to introduce you to the power of covert hypnosis. So I want as many people as possible to get it. To make that happen, I'm going to practically give this course away for just... $95 $37. If you'd like to become more influential then this is the first step. You'll learn the "nuts and bolts" of conversational hypnosis... and... most importantly... be able to use these secrets in real life situations the same day. The best way I could think of to introduce my secrets to you was to make an outrageously generous offer. In addition, since I know you're skeptical. I'm going all out to get this course to you. Get My Hypnosis System Guaranteed To Reveal How You Can Influence Anyone In Any Situation - Or It's FREE! GUARANTEE No. 1: You will be able to learn and try out the influence secrets in this fast start course the very first day! GUARANTEE No. 2: You will experience a significant improvement in your ability to change people's minds. Simply follow the step-by-step video tutorials and watch what happens. GUARANTEE No. 3: You have a full 60 days to watch the videos, read the transcripts, see me demonstrate these covert hypnosis secrets and use them in your daily life. If for any reason you're unhappy I will gladly give you a full refund with no questions asked. You must be thrilled with the secrets you discover in my course or you don't pay a cent. Since you risk nothing and can get the course for 60% OFF the regular price, why not order it today? REASON No. 1 -- Your ability to live a truly happy and successful life comes down to your ability to influence other people. This course gives you that power! REASON No. 2 -- The side benefit of becoming proficient at conversational hypnosis is an increase in your confidence to deal with all of life's little challenges in a more constructive and positive manner. REASON No. 3 -- This 60% OFF Discount Special Offer is a total bargain. So this is likely to be your best opportunity to get this exciting crash course before this offer is gone for good. REASON No. 4 -- You get to keep all the free bonus material... even if... you decide this isn't for you. Which means, you make out like a bandit whether you keep the course or not! There's no way you can lose! REASON No. 5 -- As an indication of good faith on my part, I'm going to give you a 100% Unconditional 60 Day Money-Back Guarantee. If you're unhappy for any reason, I'll refund every penny you paid. In essence, you can learn these secrets for free if you want. As you've read, hypnosis is a proven way to influence the mind and persuade people to do what you want. Conversational hypnosis is a covert method that can be used in practical settings. Like every day dealings with people at home, school or work. The Conversational Hypnosis Video Training Crash Course™ is the fastest way to learn the basics of covert hypnosis in the privacy of your home. I am excited about giving your course on how to influence anyone using covert hypnosis an honest try. I understand this course covers the basics and fundamentals I need to know about the secrets of hypnotizing anyone during normal every day interactions. I understand your program is guaranteed to improve my ability to be more convincing or it's FREE! 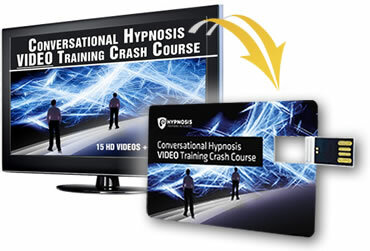 My Conversational Hypnosis Training Crash Course will be shipped to me immediately! I’ll get the entire program chock full of instructional videos walking me through each step of your basic conversational hypnosis system shipped straight to my door on a USB Hard Drive (the training is 2 hours 19 minutes). I also get Wordwide FREE Shipping! 60% Discount + FREE Shipping! "This is a really brilliant way to Master Conversational Hypnosis Skills. The videos are very nicely set up, they teach a skill and show how this can be used in a scenario. "This really helps you understand key concepts and highly compliments Igor's Power of Conversational Hypnosis course. "Being a crash course it over delivers and is an absolutely essential tool to have. BRILLIANT." "A Very Well Presented And Clarifying Course"
"This crash course being given by Igor helped to clarify a number of points from the Power of Conversational Hypnosis Course. "Having studied the The Power Of Conversational Hypnosis course and attending Igor's live Chicago Hypnotherapy Training I had a good understanding of Conversational Hypnosis and yet, I have to say that the crash course was a very well presented and clarifying course. "Imagine if you will, sitting in a room reading a good enthralling book just on dusk and you are so engrossed that you don't notice just how dark it has got until someone else comes into that room and turns on the light. "The video crash course was just like that extra light that provided a couple of SGOs (Shattering Glimpses of the Obvious) Thank you Igor for this great course." "Another Home Run! What A Great Tool To Have"
"Another home run! What a great tool to have in my already bountiful hypnotherapy arsenal. "I downloaded the videos into my ipod and watched the whole course in one sitting. "It was clear, concise and engaging. As much as I love my audio downloads, Igor's charisma is such a gift that simply translates so uniquely into the video screen. "A solid introduction for a beginner; a great review for those (like myself) who have already taken previous courses. Thank you!" "As a long time, trained hypnotherapist. I have been thrilled with Igor's products. They are beyond top notch! "I have had many teachers over the years and find Igor to be a compilation of the best. I wish I had met him years ago. Would have saved me buckets of money and time! 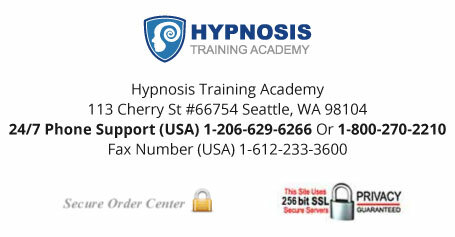 "I am thrilled to have them now and to tell others who are interested in learning hypnosis about him and his trainings." "Everything About Igor And His Programs Is First Class"
"Running a business with my father, has its interesting moments. Igor not only addressed these in the class, but provided me the tools to improve our relationship beyond the workplace. "I use the techniques/H+ everyday as a father, business owner, strategic manager and football coach. "I am planning to send my entire team of strategic managers and wellness coaches as we have made Igor's trainings a daily routine. "Everything about Igor and his programs is first class...hope to meet you at a future one." P.P.S. Take advantage of the 60% OFF Discount offer now while this is fresh on your mind. 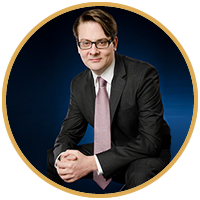 I guarantee you'll experience amazing results (just like thousands upon thousands of other people have) when you learn and apply my conversational hypnosis secrets.